On this date, in 1973, at 9:34 am, I was born. Which makes today my 45th birthday. Like today, it was a Sunday, so that makes me a Sabbath child. This means I’m halfway to 90, and since most people don’t live until 90, it means I’ve most likely lived more years in the past than I will have to live in the future. 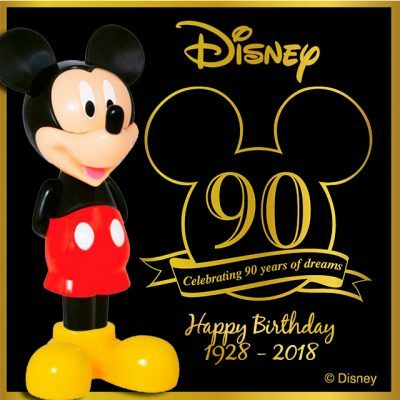 Speaking of 90, today is the 90th birthday of Mickey Mouse, which means we’re at a point where half of Mickey Mouse’s life was before I was born, and half of Mickey Mouse’s life coincides with my own. Other notable birthdays on November 18 include David Ortiz, Chloë Sevigny, and Steven Moffat. Happy birthday gang! Five years ago I published my 40 for the Forties list. I’ve updated if you want to see what progress I’ve made. I also wrote birthday posts for my 34th, 35th, 36th, and 43rd birthdays, if you feel like reminiscing.